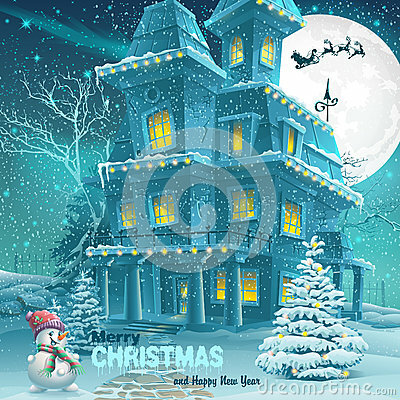 Christmas and New Year greeting card with the image of a snowy night with a snowman and Christmas trees. Merry Christmas and happy New Year greeting card. Cute shark family cartoon. Plastic surprise eggs for package seasonal presents and toys, isolate on white background.